In Fredericia, climate-proofing is an extensive and innovative project that is addressing climate change challenges through integrating recreational value in project planning. Fredericia Municipality is in the process of transforming the center’s former industrial area into an attractive new canal city which will protect the harbor and city center against the rising sea level and storm surges. The canals will open the historic fortress town up to the water, creating a lively neighborhood with direct access to the sea. From the beginning of the project, the focus has been on finding multifunctional solutions for the canal city, and the project aims to create more recreational urban spaces, up to 2,800 new jobs and 1,000 new apartments. The canal city addresses the rising sea levels with a holistic approach to climate change adaptation, which creates added value for citizens and newcomers. The project will elevate the terrain and adapt the dikes so that the promenade running alongside the canal will sit 2.5 meters above the daily water level. This will prevent flooding while also giving citizens access to high quality urban spaces amongst the waterways. For example, benches and trees will adorn the promenade and citizens will be able to jump in the water easily. 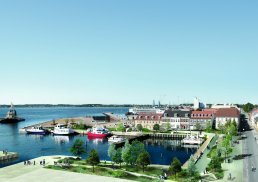 As well as focusing on climate change adaptation, the canal city project in Fredericia Municipality generates economic development and 2,800 new jobs among local businesses. The new district creates a lively atmosphere and a sense of local identity. These factors will improve ownership of the previously very industrial area, and will make Fredericia more attractive to newcomers. The project is working to create a CO2 neutral district, where low-energy homes are a requirement and energy must come from alternative energy sources, such as surplus heat and solar cells. 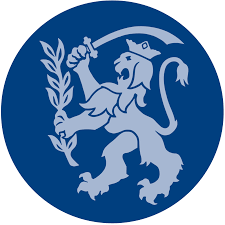 Fredericia municipality is a municipality on the east coast of the Jutland peninsula in south-central Denmark.